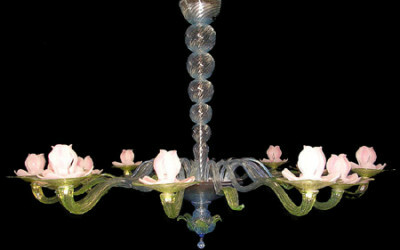 Chandelier with green central stem and with a light-blue crown. 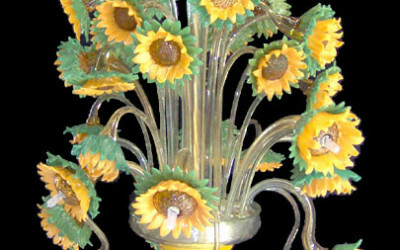 The 9 lights are placed on different levels. 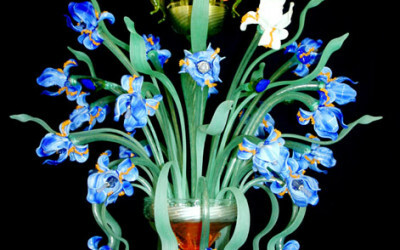 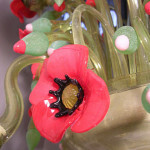 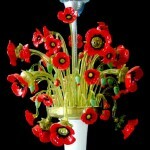 Flowers are made by bright red glass paste. 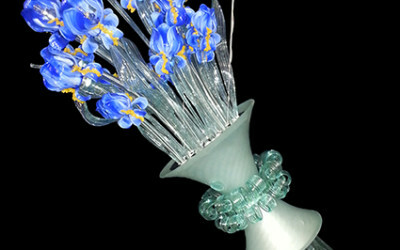 The flower-buds are green, their tips have different colors; glass dust is spreaded on the surface of the buds. 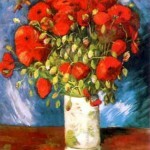 The bottom is white paste made.